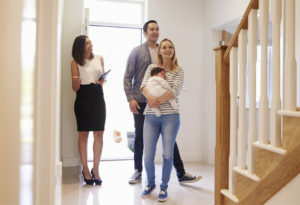 For many, the prospect of selling your property or home can be daunting, and even more so if you are looking to buy another property at the same time. This guide will help you understand the selling process and all of the work involved within it. Why use James Anderson to sell your property? James Anderson’s 27 years of experience and wide network across South West London, allows us to find you the perfect buyer. 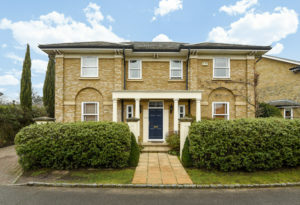 As a prime estate agency our sales process is trustworthy and easy, and with offices in Barnes, Mortlake, East Sheen, Putney and Putney Hill, we are confident that your property will be extensitve and successfully marketed. One of the first steps you will need to take before placing your property on the market is to find out how much your property is worth. 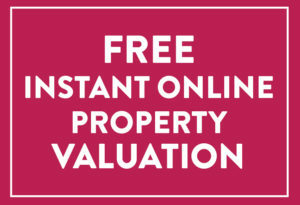 Try our FREE INSTANT ONLINE VALUATION tool and find out the likely value of your property. The James Anderson property valuation tool provides you with an average sold price, comparing your property to other properties sold in the same area with similar specifications and condition. For a more exact figure, you will need to speak with one of our expert valuers who will be able to advise on price based upon what is happening now rather than reviewing recent historical data. Now that you have a much clearer idea of your property value, and after settling upon a suggested marketing price with James Anderson, we will place your property on the market. At this stage, we aim to know as much about the property and the surrounding area as possible. 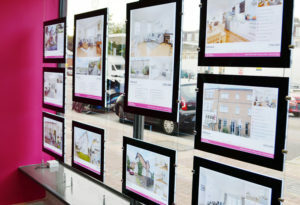 This information is very important for our Sales Negotiators, as it will give them the confidence to showcase your property to potential buyers, so don’t hold back and be sure to tell us what attracted you to your home in the first place, this is highly likely to be the same reasons why the next owners will also buy your home. Alongside our outstanding marketing, your property will be exposed to the largest audience possible, and the best way to ensure that you are prepared for a quick sale is to instruct your solicitor at this early stage. James Anderson also recommends IMC Financial Services for expert financial advice. 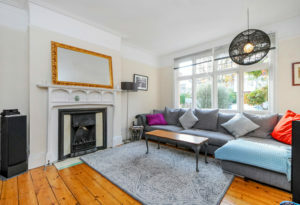 The Property viewings are a vital part of the sales process and to ensure that we can showcase your home to its full potential, you will need to ensure your property is ready to be shown. The buyers’ decision will often be based on their first impression. For more advice on how to prepare your property ready for viewings, contact our local Sales office, and our Sales Negotiators can provide you with great tips on how to improve the aspect and design of your home to increase the sales opportunities. As a prime independent Estate Agent, with over 27 years of experience and local housing market expertise, we have access to an extensive network that allows us to find and maintain constant communication with thousands of potential buyers across London and the World. We actively promote your property, using the web along with the major property portals. We also actively use social media and Google ads to attract attention and of course our award winning website. We do not settle for the first buyer – we aim for the perfect buyer. Find out more information on selling your home and the different options for marketing your property here. 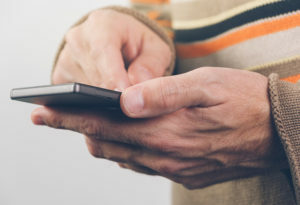 We pride ourselves on the level of customer service provided to all of our customers, and our accompanied viewings are just another step ahead of the competition. Open seven days a week and until 9pm weekdays, our extended working hours are a crucial part of our success, giving us more opportunities to maximise viewings for your property – 70% of our viewings are carried out after 6pm and at weekends. Our offices are open seven days a week, until 9pm weekdays and 5pm on Saturdays and Sundays. We understand that it can be very overwhelming dealing with offers and the information required for decision making. James Anderson support you and provides expert advice so that you can be reassured of your decision. With your best interests in mind, we will negotiate the sale aiming to achieve the highest possible price. Before we speak to you about any potential offer we always investigate the buyers position thoroughly, which will include speaking with their solicitor as well as their selling agent (if there is one) and we encourage the potential buyer to speak with our award winning mortgage brokers at IMC Financial Services who are able to guarantee a successful home purchase for the buyer. We will be part of the entire sales process, keeping you advised of every step of the process and all the way through to the eventual moving date. If you need help with removals, we are also able to make the necessary recommendations and maybe pull some strings on the rare occasion that you find everyone is already busy. We can also arrange the utility connections in your new home. You can trust James Anderson on every step of the way knowing that you are working with local experts and safe in the knowledge that James Anderson is still run by the very same people for the past 27 years.